for you, out from under you. next to a Galapagos tortoise. of the door jamb to the other. thin, unsteady line left once we get up. Here’s how to impersonate Jimmy Stewart. 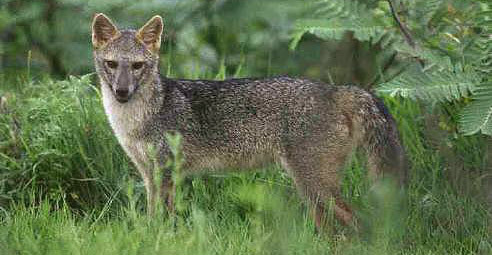 There is a fox called a “crab-eating fox.” It looks like this and yes, eats crabs. It sounds like this. I want a toy mower that makes bubbles. And you? What are you learning, accidentally and intentionally? pretend to mow the grass. yard, to give you his hands. someone would try to sit. quickly hunger would limp away. I was introduced to Marita Dachsel’s work back in 2008, when I reviewed her book, All Things Said & Done (Caitlin Press, 2007), for GLOSS, an online Canadian arts publication I used to write for. When my review copy of that book arrived, I knew I’d love it--the cover featured an illustration of a grill, in clean lines and in the color of pencil lead, set against blank space. Familiar objects, isolated and made odd (or revealed to be innately odd)--that’s just what Dachsel’s poems do. In Glossolalia, her newest release (with an equally stunning cover! ), her poems are voiced by the wives of Joseph Smith (founder of the Latter Day Saint movement). All thirty-four of them. My head spins trying to imagine how she crafted/heard these characters--and with such respect and care, too. Dachsel’s poems honor the experiences of these women as individuals. NOTE: After the interview below, read two of the poems from this book, "Emma Hale Smith: Two" and "Marinda Nancy Johnson Hyde," both of which appear with permission from the author/publisher. Purchase a copy here. Also, you can enter her giveaway for a chance to win a free copy of her book (woohoo!) here. Q: Reading Glossolalia, I was amazed by the different voice(s) speaking each poem. I’m wondering how you went about building/inhabiting the voices of these poems. What was your process like for hearing/puppeteering your speakers? How does voice work in any of your poems? A: Thank you! From the very beginning I realized that voice was going to be vital to the collection. In fact, one of the impetuses for writing Glossolalia was to give voice to women who were largely forgotten and ignored by history. I knew it would be a challenge to make sure every wife/poem sounded distinct. These women has so much in common—united by time, place, faith, and husband—there was a danger of the collection having a homogenous quality and I worked hard so it wouldn’t be. My approach differed depending on the poem and where I was in the journey of writing the collection. It was about six years from the first draft of the first poem to when I signed off on the last correction before it was sent to publication. I changed a lot as a writer over that time, and so did how I approached the material and the rewrites. Research fuelled the writing. I read two really great biographies on Joseph Smith’s wives—Emma Hale Smith: Mormon Enigma about his first wife and In Sacred Loneliness about 32 others. I read anything I could get my hands on about the early church and his wives, but those two books were the ones I kept returning to.